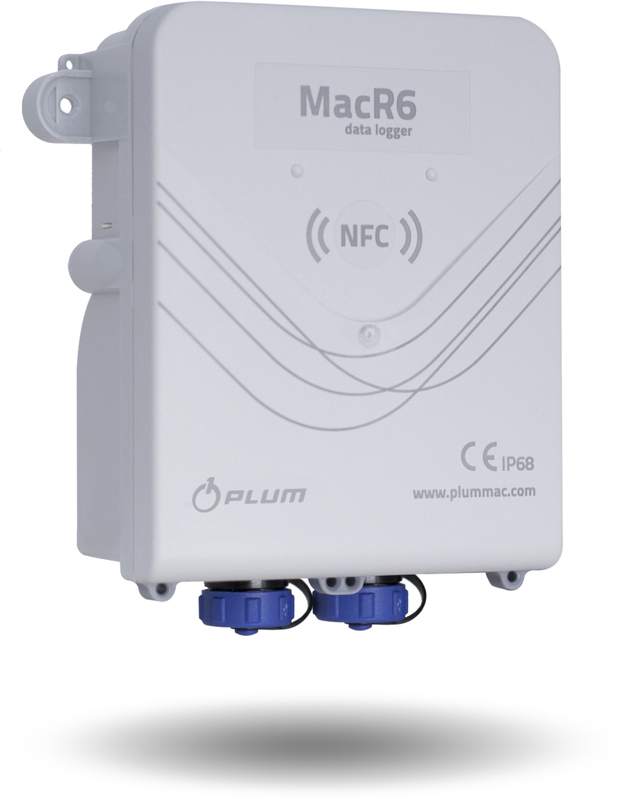 The MacR6 N is a compact battery powered device for logging water flow and pressure then storing the data which is transmitted via GSM and accessed remotely on a secure web based software portal from anywhere in the world on any device. 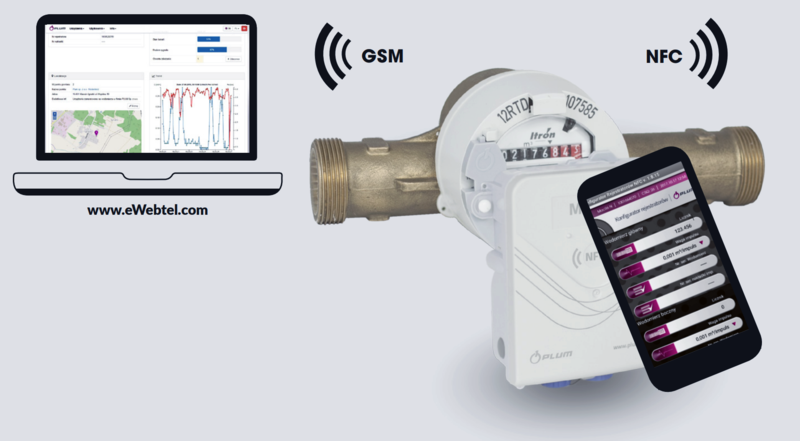 The MacR6 N is unique in that it is optionally supplied with a choice of adaptors available for direct connection onto the front face of many leading water meter brands. This compact solution ensures that a costly pulse output cable is not required for operation as the readings are picked up directly from water meters mechanism. The tough GRP case is IP67 resistant to water ingress and mechanical damage. Local configuration of each unit can be done via NFC (Near Field Communication) from many Android NFC enabled smart phones and tablets. Remote configuration and access is achieved via the web based package called eWebtel with the units’ internal battery powering the sensor input and GSM connection for approximately seven years, depending on settings. eWebTEL website is a data aquisition application operating both on the internet and optionally on a dedicated private network. The eWebTEL platform is designed to handle billing, monitor network parameters and the evaluation of the employed measuring devices data with special leakage detection algorithms employed. Data is presented in the form of functional and configurable diagrams and tables with the option to download any selected data to csv file: Remote visualization of the data from flow meters and associated sensors eg. Pressure and temperature allows users to analyse trends and spot problems in a timely manner without having to manually collect the data from site. Users can also set Alarms and log specific events and each unit is geolocated within the mapping area of the software to assist asset managers and site engineers.